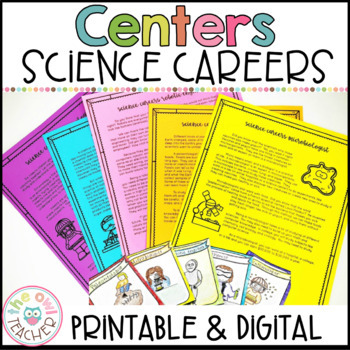 Help your students understand the variety of science and STEM careers out there by reading about them in this resource! 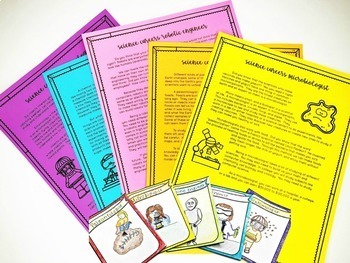 Then, have your students create trading cards and complete the activities included. 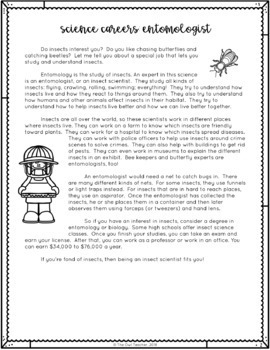 This resource is a great way for you to get them excited about science, while helping them see how they will use it in their future. In addition to integrating reading and science, students can also see the relationship of science and real life. This resource is an engaging piece perfect for small groups, whole group, independent work, homework, science centers, and more! If you see ANYTHING that needs modifying, or if you have any questions, please contact me via the Q&A. I take my product creation and your satisfaction very seriously! Thanks! ©Tammy DeShaw, The Owl Teacher. All rights reserved. This product is to be used by the original downloader only. 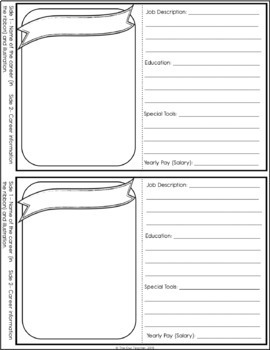 Copying for teachers, classroom, department, school, or school system is prohibited. This product may not be distributed or displayed digitally for public view. Teachers may NOT upload the product to school/district servers, or to any website, or share digital or print copies. Failure to comply is a copyright infringement and a violation of the Digital Millennium Copyright Act (DMCA).